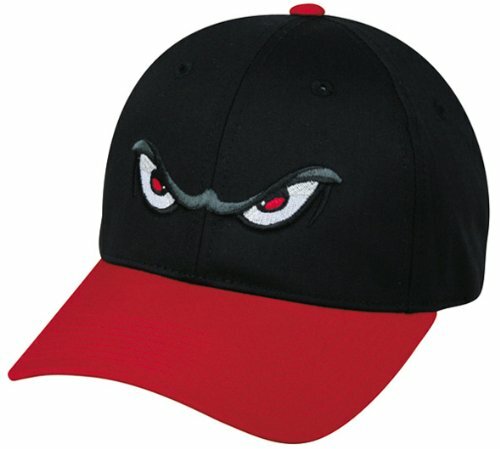 MiLB Minor League ADULT LAKE ELSINORE STORM Black/Red Hat Cap Adjustable Velcro TWILL "Padres Affiliate"
We are your team supplier with team qtys available. Another popular seller with retail of $21. Great for all leagues. -6 panel polyester/cotton twill cap. Structured, mid-profile with 3D replica logo. Pre-curved visor. Grey undervisor and adjustable velcro closure. Adult cap fits ages 12 and up. Brand: OC Sports Outdoor Cap Co. If you have any questions about this product by OC Sports Outdoor Cap Co., contact us by completing and submitting the form below. If you are looking for a specif part number, please include it with your message.